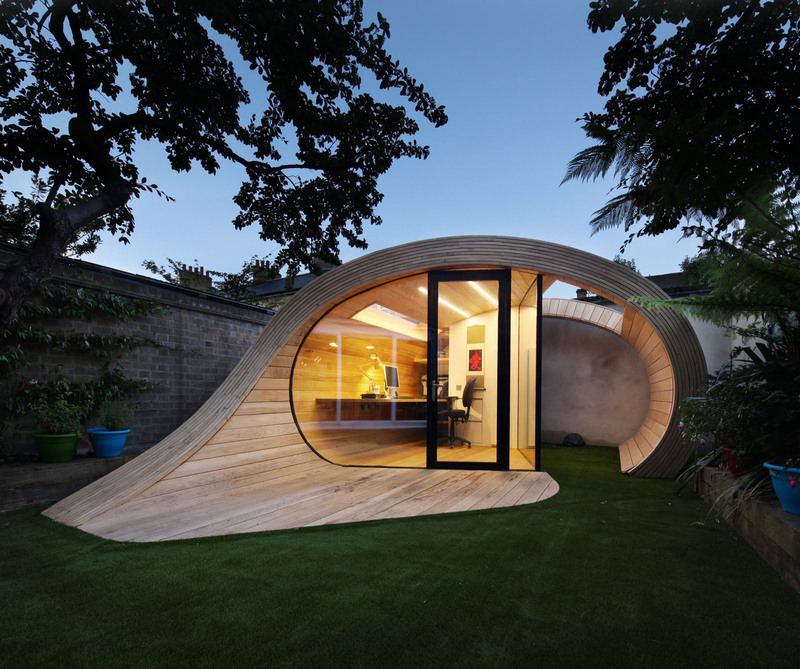 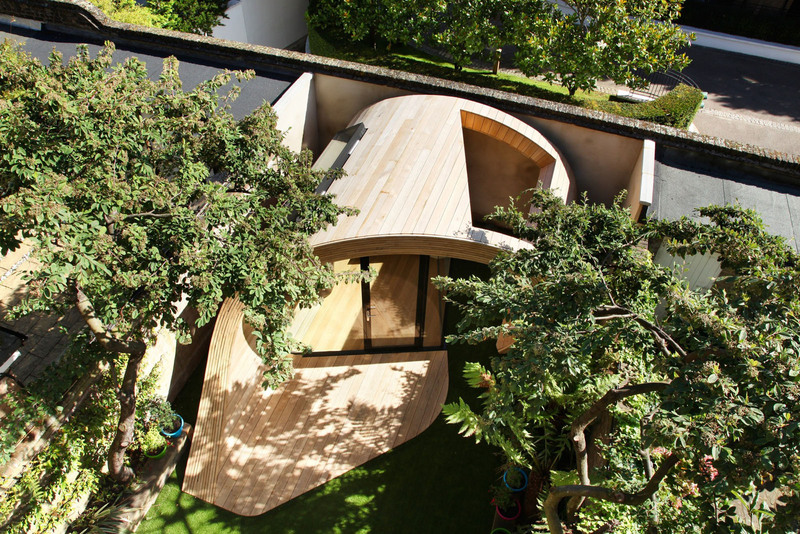 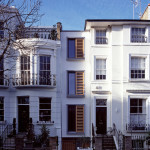 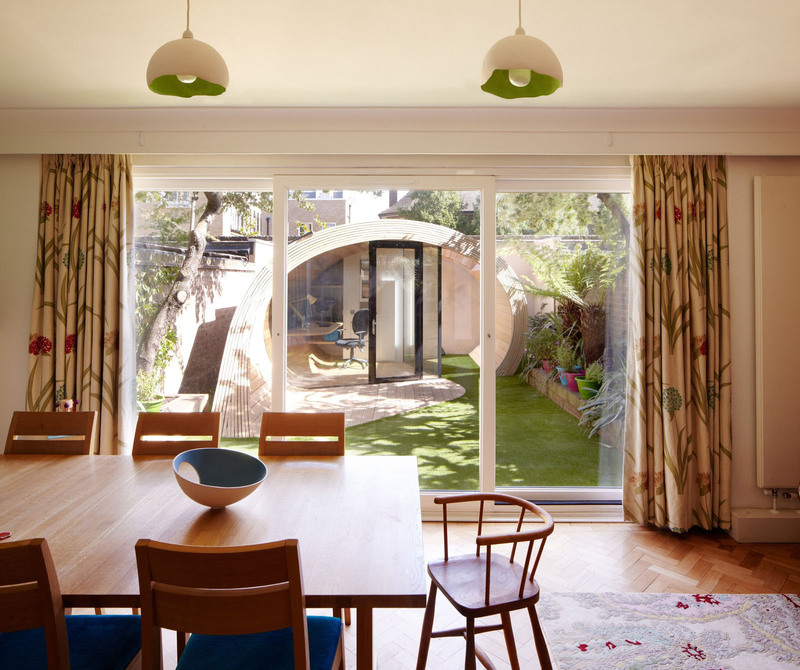 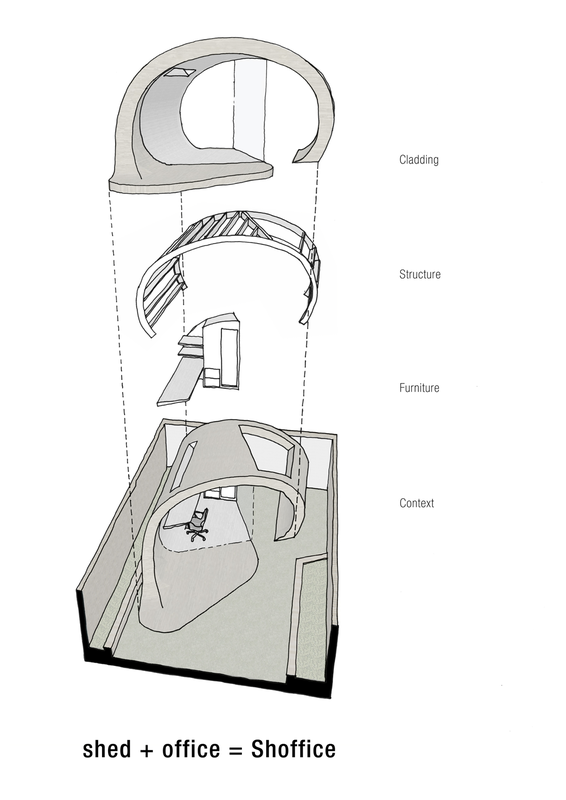 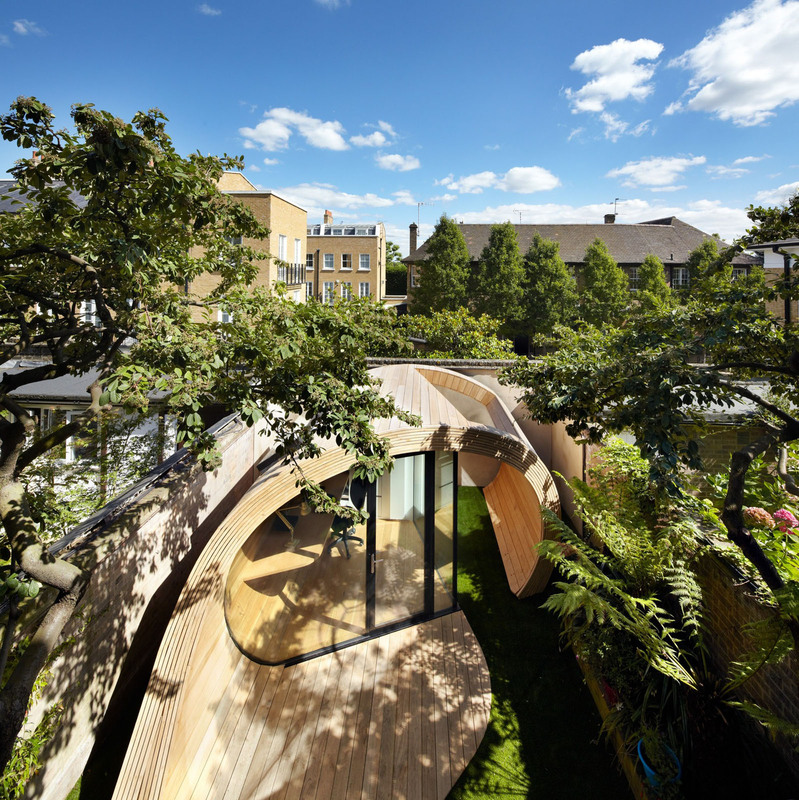 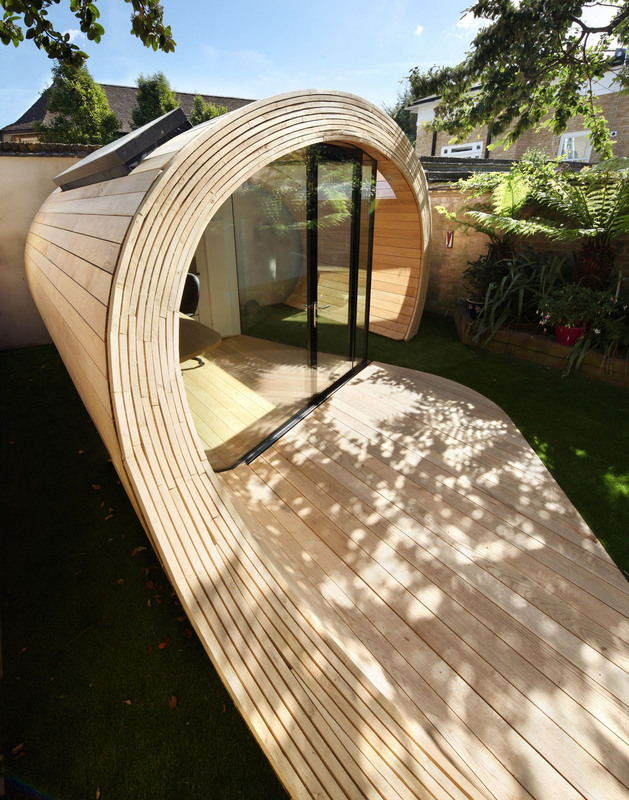 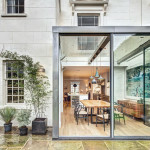 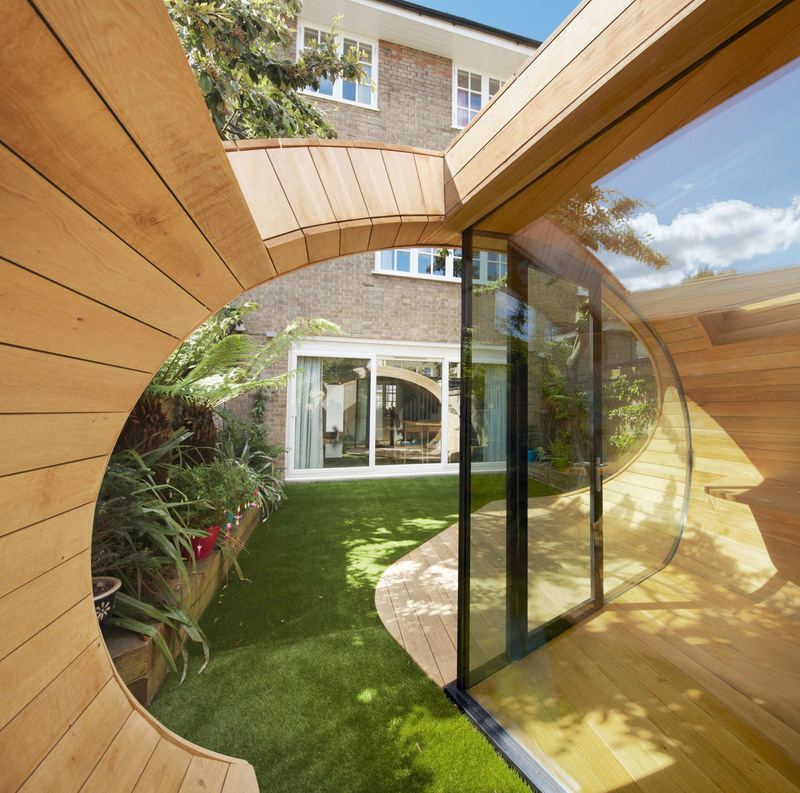 This unique timber elliptical shell is a lightweight “Shoffice” (shed + office) located in the backyard of a 1950’s terraced house in St John’s Wood, London, England. 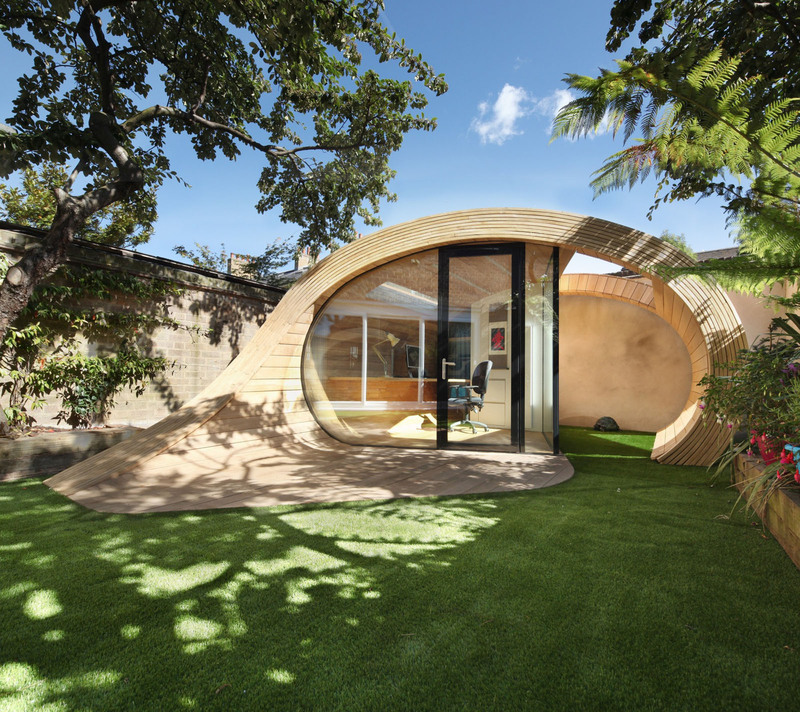 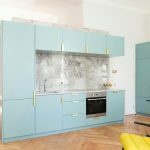 Designed by Platform 5 Architects, the structure formed with two steel ring beams, timber ribs and a stressed plywood skin, sits on minimal pad foundations. 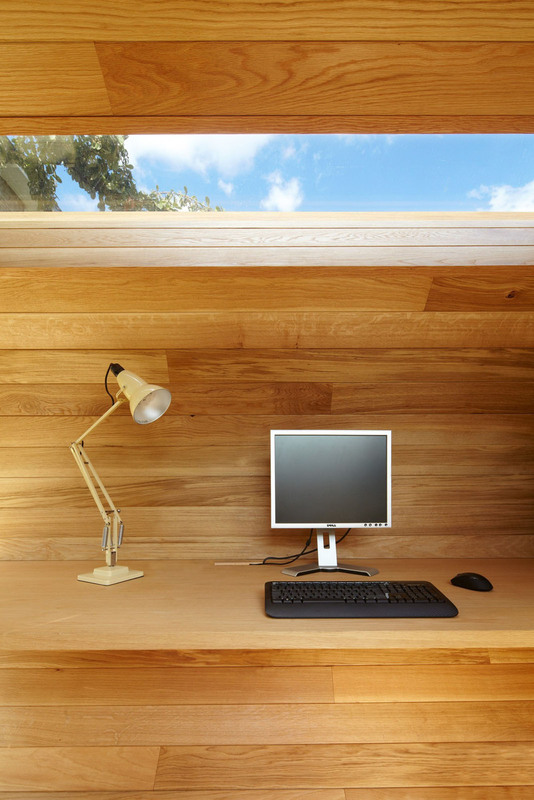 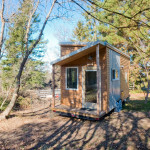 There is an office and storage inside the shed which is oak lined and fitted out with a cantilevered desk. 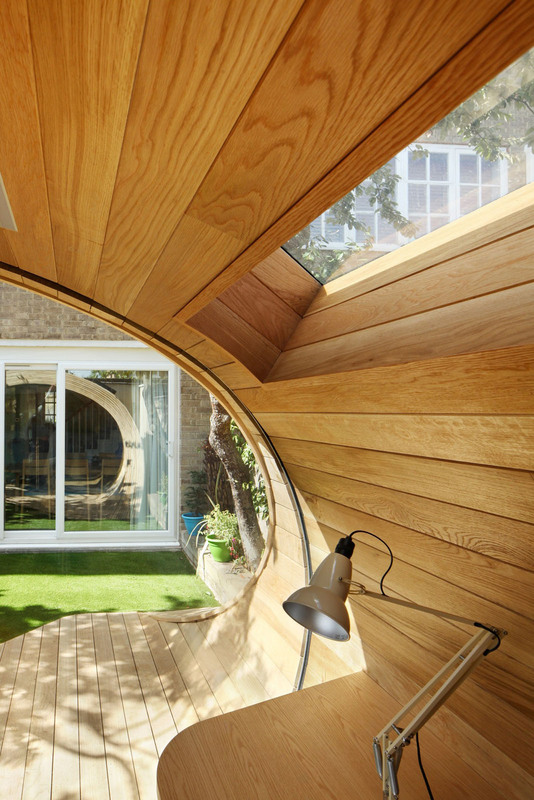 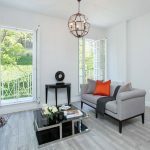 Two skylights bring light into the space.